Kids measure love primarily by our attentiveness to them, the moments when we truly connect. But in today’s world the pace of life, numerous activities for kids, moms and dads both working and the rise of technology, have made connecting with our kids challenging, if not nearly impossible. Present Parenting is about how to utilize the everyday moments that already offer you the opportunity to connect with your kids, no preparation, no planning ahead. When you’re Present with your children, you send the clear and important message: “You matter to me,” and it can take as little as five minutes or less. 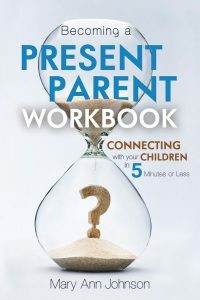 Order your copy of Becoming a Present Parent and the companion workbook. I’m not much of a reader. Unless a book catches my attention within the first few pages, I seldom read it all the way through. This book not only drew me in from the beginning but I finally had to make myself stop reading and go to bed. “Becoming a Present Parent” will be one of those life-changing books for parents and for anyone who wants to have an amazing relationship with [a] child. Well worth the read. I love the concepts and am putting them to work in our family, it seems that I read exactly what I need to hear for a challenge I’m having in that moment, and it’s giving me something to do that I’m totally enjoying. I like to call MaryAnn the Connected Mother Coach because in our busy world being home isn’t always being present and she can help you reclaim that presence. To see what Mary Ann is up to next check out her upcoming events here. Subscribe to Get The Scoop for the most recent news, updates and Present parenting information. Mary Ann Cazier Johnson was born into a large and boisterous family of nine children and survived to become the mother of seven equally boisterous and busy children. She has been happily married to her husband, Don, for 46 years and has 13 grandchildren aged 2 to 29. She started college at nineteen and finally finished, with a masters degree, in her forties. Mary Ann has helped thousands of individuals and families to build better relationships. She is the founder of Relationship Transformations for Busy Parents, an online community reaching thousands of people each week. She is the creator and president of Family Connection Mentoring—a service of one-on-one mentoring for parents and their families. She is also well known in the homeschool community as The Home School Coach. 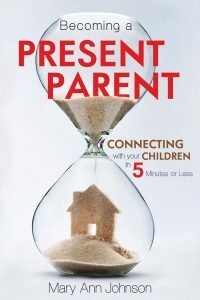 Becoming a Present Parent: Connecting with your Children in Five Minutes or Less is her first book on what she knows and does best – helping children and parents connect. She has been presenting her Presence concepts across the country in workshops and webinars for over seven years. 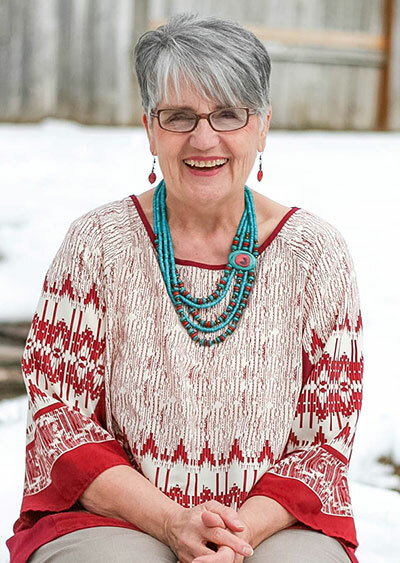 Mary Ann is a Montana transplant to Salt Lake City, Utah where she lives with her husband, Don. Her favorite pastime is reading and learning. Copyright © 2019 Becoming A Present Parent – Best New Parenting Book. All Rights Reserved. Thank you! Go Check your inbox to start reading!